With plenty of choice out there when it comes to accommodation for your special family holiday, I thought it would be a good idea to put together five of the best reasons to choose my beachfront holiday lets for your getaway! 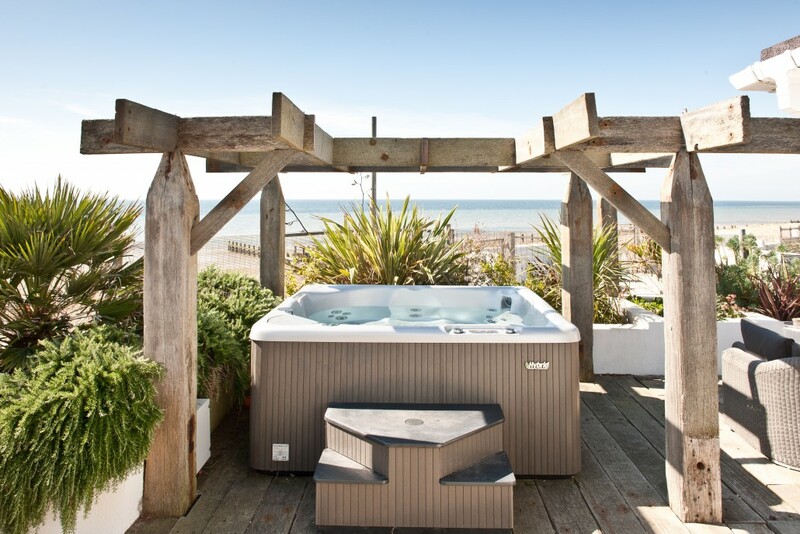 Each of my five properties sleeps 10 people or more, with the largest (Angmering-On-Sea Beach House) sleeping up to 20 people including children. This makes them ideal for those family holiday where there’s more of you than usual, or for special occasions like birthdays and anniversaries. Nothing says relaxation like a hot tub, and each one of my properties has one of its very own in the garden. They seat up to 7 people, and are kept at a balmy 38 degrees all year round, so you can still relax outside even in those colder months! 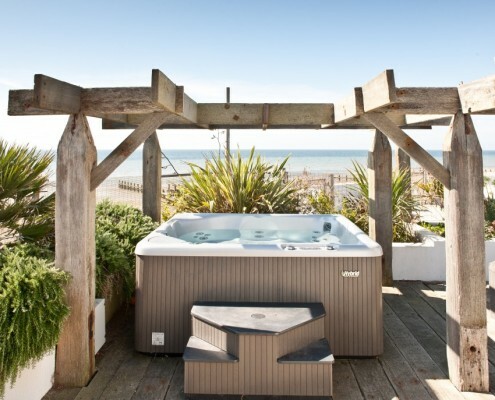 You can’t beat holiday accommodation right on the beach, and New England and Angmering-on-Sea beach houses do just that. Hamptons, Coral and Club Walk are just a few metres away from the beautiful, dog friendly beach, providing opportunity for walks, relaxation, and plenty of fun! Each of my houses are individually styled for the seasons with luxury homewares. This includes fresh styles for spring, light fabrics in summer, and warm cosiness in winter. We even dress each house up for Christmas each year, which is something really spectacular. 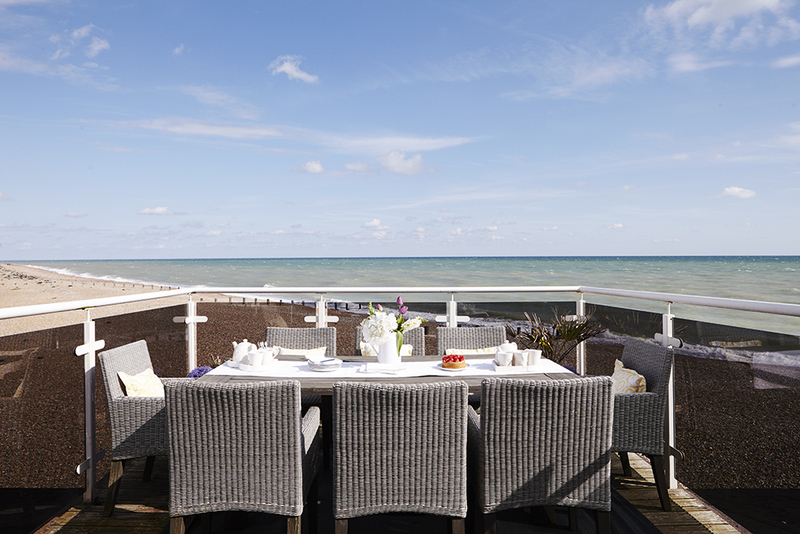 From shopping in Brighton, to wandering around historic Arundel, to attending Goodwood Revival and Festival of Speed, all this and more can be done whilst staying at one of my beachfront holiday lets. Sussex is a wonderfully varied county, with plenty of places to go and things to do – you certainly won’t get bored! There are, of course, plenty of other reasons to stay at one of my beachfront holiday lets (our dog friendliness, off-road parking and reasonable proximity to London for starters) so have a look round the rest of the site to decide which of these beautiful houses could be perfect for your family holiday.